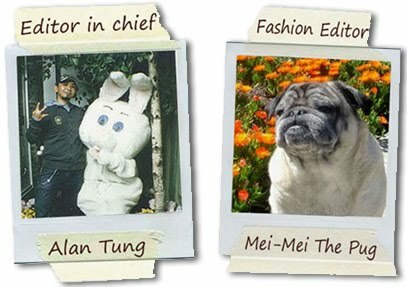 Fashionistas Daily .Com: PRADA - Daino Large Tote : A perfect white color bag is hard to find! Untill now ! 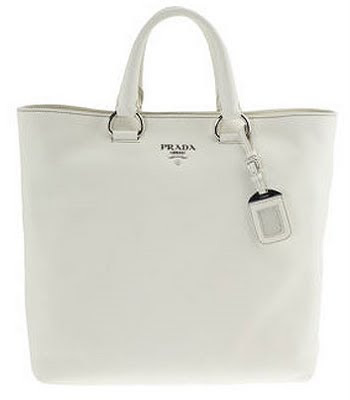 PRADA - Daino Large Tote : A perfect white color bag is hard to find! Untill now ! As you might agree with me, finding a perfect white color bag is hard! It needs to have the right details, hardware and shape so it won't look cheap & tacky! With this fabulous off-white PRADA tote bag, you can never go wrong! I can just imagine myself carrying this bag vacationing at Côte d'Azur in the Riviera or going to some fabulous spas in Bali. Such a perfect summer bag but works perfect with your winter white outfits,too! Soft leather tote with magnetic snap closure, rolled leather handles and removable shoulder strap. Prada jacquard fabric lined interior with leather-trimmed zipper pocket. 14" x 18" x 5". 6" handle drop. Available in White. Made in Italy. Dont miss out this fabulously perfect off white tote bag! It will also be super chic to go with your winter white cashmere sweaters!! It is just a perfect all year around tote!